Extensively experienced lab operations and business development specialist with additional business experience across a wide swath of industries, both within and without the cannabis/hemp world. Recently left a development position with a hemp CBD start up after completing runway for their launch (Included brand development, website design/development, promotional print materials, business prospectus/pitch deck creation, lab equipment sourcing and layout design, SOP creation, staff training, B2B sales/contracting, packaging design/sourcing/importing, and general lab management). I am hoping to stay in the industry and looking for my next opportunity in the Portland area (cannot relocate for family reasons). I am more than capable with a variety of equipment and SOPs, including ETOH/BHO/Heptane/Hexane extraction/polishing on both lab and production scale, evaporatory boilers, mechanical/liquid-liquid/media-based filtration (plate, lenticular, buchner, water/heptane), rotovap, SPD, column chromatography, thin wipe film, and pressurized/temp controlled crystallization vessels. My work has spanned many market segments, including grass-fed and raw farmstead food products, adult toys, niche bicycle components, medical and recreational cannabis, and industrial hemp products. In all of these industries, I have focused on the identification of risk and opportunity, and the development and execution of critical pathways to my stakeholders’ objectives. I am no stranger to collaboration, communication and deference to hierarchy within diverse working environments, and have years of experience working directly with Executive-level officers, management and technicians. Additionally, I have direct, hands on experience interfacing with compliance officers for the OLCC and ODA, local government offices and other regulatory bodies, such as the USDA. 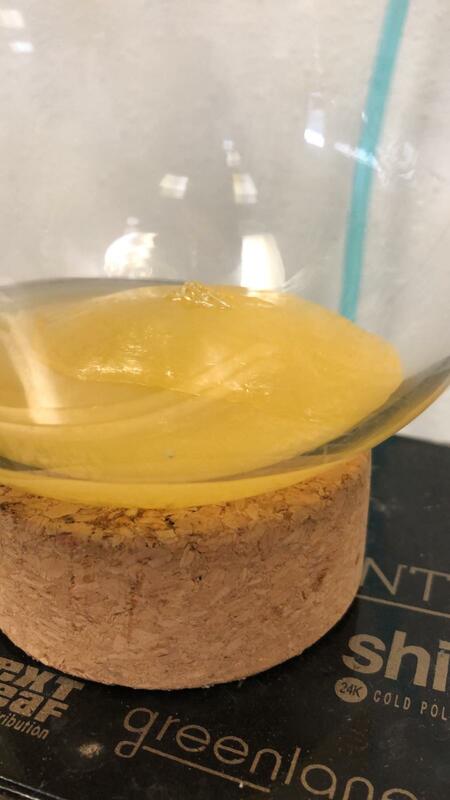 Here you can see the cannabinoid breakdown and photo from one of my distillate runs. The material was low quality, older biomass with a CBD-A content of 12.2% and a THC-9 Delta content of 0.27%. Cold ETOH extracted in a Pinnacle reactor. Plate filtered. CBleach activated. Decarbed on hotplate with overhead stirrer. Degummed using liquid-liquid separation. Single pass through 5L SPD.